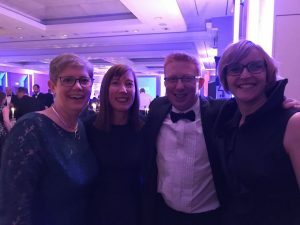 On Thursday 21st June, MOTIONrehab’s Clinical Director, Sarah Daniel was invited to attend the Insurance Post Claims Awards 2018, as a guest of Hudgell Solicitors. Senior Personal Injury Solicitor, Samuel McFadyen from Hudgells Solicitors was shortlisted for the Unsung Claims Hero Award. This year was the 9th year the prestigious Claims Awards was held celebrating and rewarding the stars of the claims industry. A big thank you to Hudgell Solicitors for the kind invitation to the awards and congratulations all the winners and everyone who was involved.